THOR utilizes multiple examination methods to detect traces of hacker activity. For example, THOR uses more than 6.500 signatures as well as more than 25 methods. Nextron updates the main signature database regularly. File Scan, Process Memory Scan and Log File Scan. The SHIM Cache Scan, Registry and At Job analysis is only available on Windows. 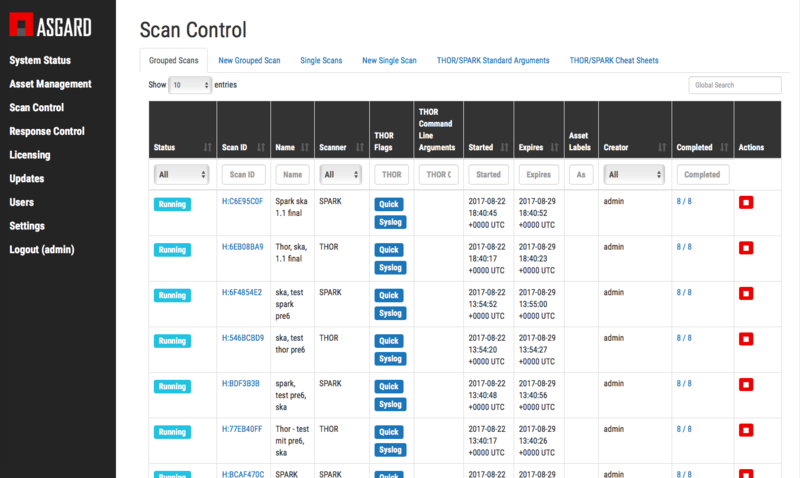 The ASGARD Management Center is a hardened appliance that connects automatically to Nextron to receive signature updates (Yara rules, Soft IoCs, etc.) and the latest versions of THOR and SPARK. 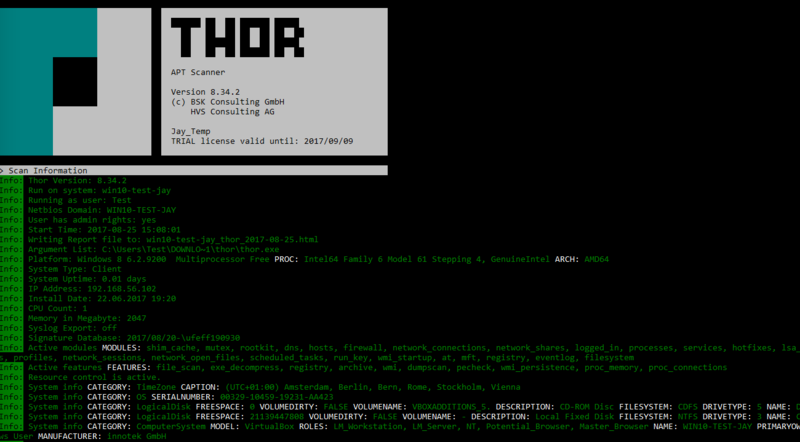 It acts as the licensing server to issue individual THOR and SPARK client licenses. The ASGARD Management Center can act as a Log Server itself or can forward the logs to the ANALYSIS COCKPIT or any other SIEM system. Here is where you define your network-wide scans for THOR and SPARK. In heterogeneous IT environments, you could be required to create highly specific filters for 20.000 entries by hand. You don’t want to do this manually. We let you export anomalies from Kibana that you don’t want to see in the future to the filter generator.